Along with all the awesome Star Wars stuff that Fantasy Flight has announced, there's a quartet of Runewars releases now available. There's something for everyone, with a release for each faction. So if you've been wanting something new, now's your chance. With the new edition of the X-Wing Miniatures Game coming, the Resistance and the New Order are breaking off into their own factions. No longer simply part of the Rebels and the Imperials, respectively, these new factions are in need of a bit of a leg-up in defining what makes them unique and not just a sub-set of a previously larger set of ships. 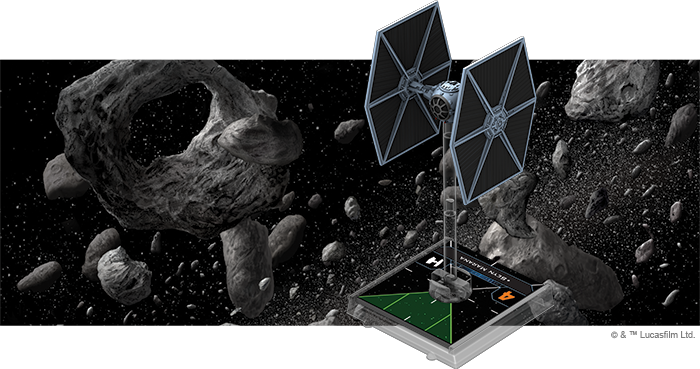 Fantasy Flight has new Conversion Kits coming that'll help you sort that all out. Also, a new Scum & Villainy variant of the TIE is up for preview. Richard Garfield might be best known for making Magic: The Gathering, but there's a lot of other games he's worked on. And he's still out there making more. Fantasy Flight has just announced a new title he's been working on, and they're ready to start taking pre-orders. It's called Keyforge, and it's the world's first Unique Deck game. Yes, each and every deck out there will be different from the others. How does that work? Well... I'm not entirely sure. Let's read on to find out. I really missed out, naming this another Year of New Editions months ago, but it's certainly seeming like it's the case. 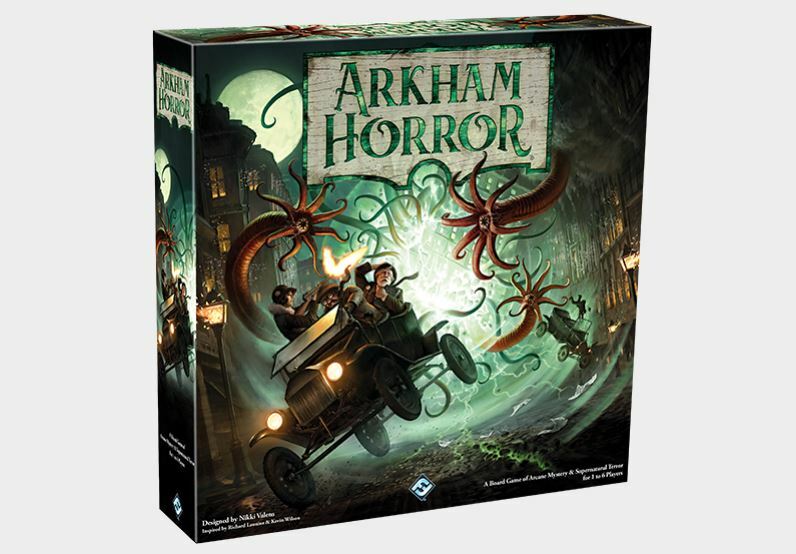 In this instance, 3rd time's the charm as Fantasy Flight has announced a 3rd edition of the classic Arkham Horror game. Hard to believe the first version came out in 1987. Fantasy Flight has a new preview up for Runewars. This time, it's the Kethra A'laak, the Ynfernael Mistress of the Uthuk Y’llan. She's got both a mounted and on-foot version. But really, who wants to have to walk into battle? In the first Star Wars movie, there's only two Imperial fighters that we see. We get the standard TIE Fighter and the special, advanced version that Darth Vader flies. That's the TIE Advanced. It's got shields and a hyperdrive, along with many other advancements (ooooh, now I get the name). But Vader's wasn't the only one produced. You could have a whole squadron of them, including in the X-Wing Miniatures Game. We get a look at the 2nd edition version of the ship in this preview. One thing with having apps for your games is that you can release new content electronically. And that's just what Fantasy Flight has done for Imperial Assault. Those of you with the game, the app, and the Jabba's Palace expansion can get a new campaign to play through. Just download it and off you go! This new adventure will be available at the start of next month. With the recent release of the latest set for Star Wars: Destiny, it's time to look ahead to the next one. In this case, it's Across the Galaxy. With a whole host of new characters, equipment, and upgrades to add to your decks, this won't be a set to miss. Besides the Star Destroyer, the most iconic ship in the entire Imperial fleet has got to be the standard TIE fighter, or TIE/ln for you that prefer such nomenclature. The "eyeball" was the main ship used by Imperial fighter pilots. Fast, maneuverable, and easy to build, what they lacked in shields, they made up for in being able to swarm the enemy. With the new edition of X-Wing coming out from Fantasy Flight, it's time to take a look at how this ship will be changing. We've gotten quite a few previews of upcoming releases for Runewars that were monsters, or some elves, or some undead. It feels like it's been a while since the humans have gotten anything new for Runewars. Well, that ends... well... soon, as the Outland Scouts will be making their way to tabletops in the near future. Tonight: I have a game of D&D. Tomorrow: I have a game of D&D. Tonight: I am bringing some snacks. Tomorrow: I am bringing homemade dark chocolate caramel brownies (I made the caramel last night). Today: I am noshing on some bite-sized gaming stories. 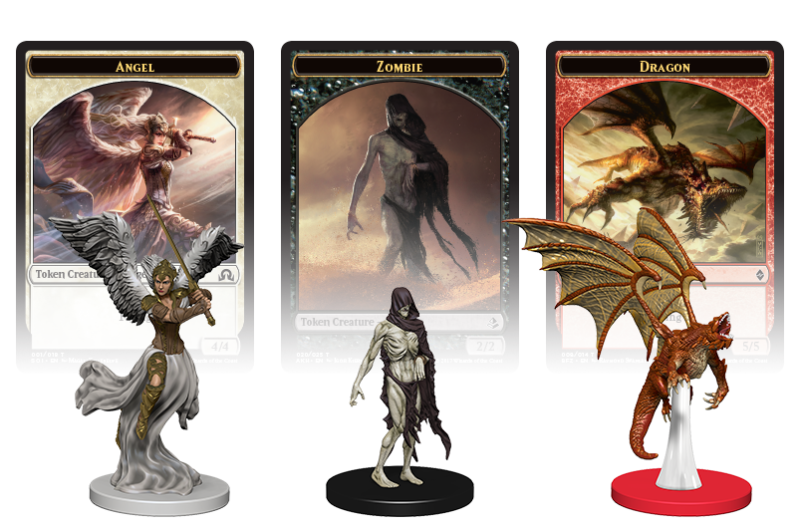 On the platter we have: WizKids To Release New Magic: The Gathering Token Minis, New Star Wars: Destiny Dice Cases Available From Fantasy Flight, Kraken Dice Posts New Releases, and The RPG Coloring Book Up On Kickstarter. Few figures in the Star Wars universe are more feared than Emperor Palpatine. His rise to power was dramatic. He caused the Jedi to be almost completely wiped out. He may seem frail, but he's still quite an imposing figure in battle, and he has a keen strategic mind. So, with that all together, you can see why he'd make a great figure for your games of Star Wars: Legion. But, of course, he's not alone. His crimson Royal Guards are there, too. We get a look at both in these previews. The headline for this article gets an F, obviously. 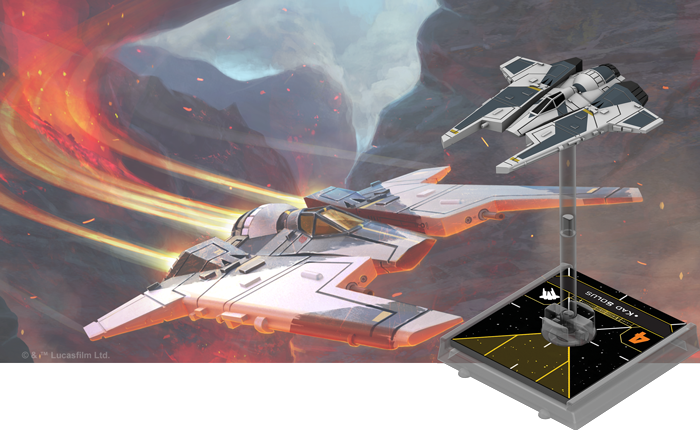 Fantasy Flight is showing off the new Fang Fighter for X-Wing. While most of the populace only knows the Mandalorians by Boba and Jango Fett, there's much more to this warrior race. That includes a space force with the Fang Fighters as a major part of the armada. Han Solo started off as just a scoundrel pilot, taking Luke, Obi-Wan, and some droids to Alderaan. However, he came to be a major leader in the Rebellion... before going back to being just a scoundrel pilot. But that last bit's beside the point. 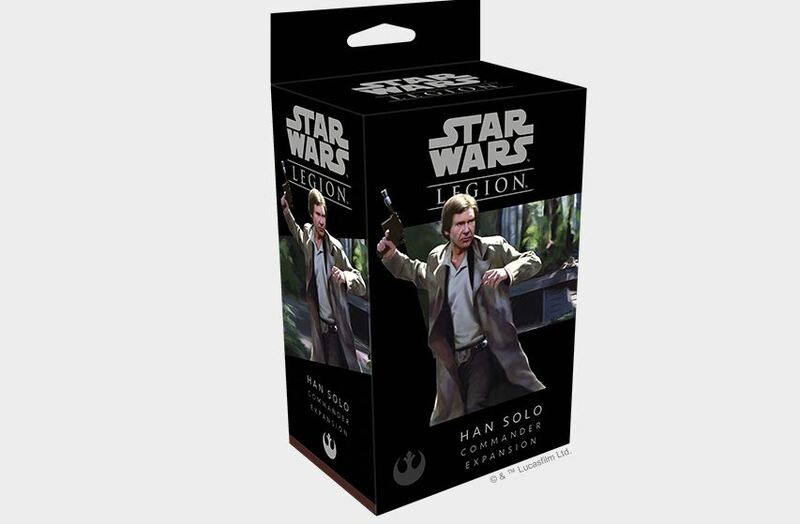 The Han Solo Commander expansion for Star Wars: Legion depicts Han at his most... leader-ful. Check it out. The next expansion for Star Wars: Destiny, Way of the Force, is now available. Hop into your pod racer, see some of your favorite characters, grab their equipment, and fight either for or against the Dark Side with a whole plethora of new options for your decks. The set covers pretty much every era of the Star Wars saga. Many of us weren't gaming 30 years ago when the original Star Wars RPG book came out. But then, I guarantee there's those of you out there with a very well-worn and probably well-loved copy. Either way, if you've never played it but want to, or have played it for 30 years, there's the new 30th Anniversary book available now from Fantasy Flight. The evil of the Great Old Ones is not kept to just a mansion in Arkham. It has managed to head out in every direction. The usually quaint countryside is full of peril. Out to sea, monsters attack. Even the skies are not safe from horrors. You'll have to deal with all these issues in the next expansion for Mansions of Madness, entitled Horrific Journeys. Fan-favorite Boba Fett is going to be making his way back into X-Wing for the new edition in the Slave I set. But what's changed from the original version? In this preview, get a look at the new components and check for yourself.